The Tubbs Flex VRT is an aggressive backcountry snowshoe made for mountain use. I tested these snowshoes over the course of 3 months during winter 2017-2018, putting on 62 miles/100km in a variety of snowy environments. 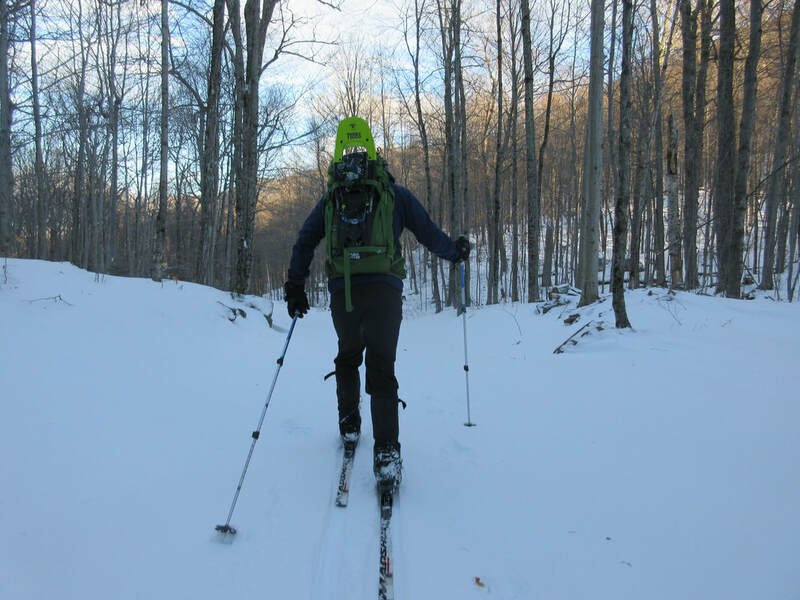 As a previous owner of the MSR Lightning Ascents and Atlas Elektra’s, I feel I can accurately gauge the performance of the Flex VRTs in comparison to its competitors. Climbing ability- Upon first glance at these snowshoes, you can’t help but notice the aggressive crampon under foot as well as the gnarly side traction rails. 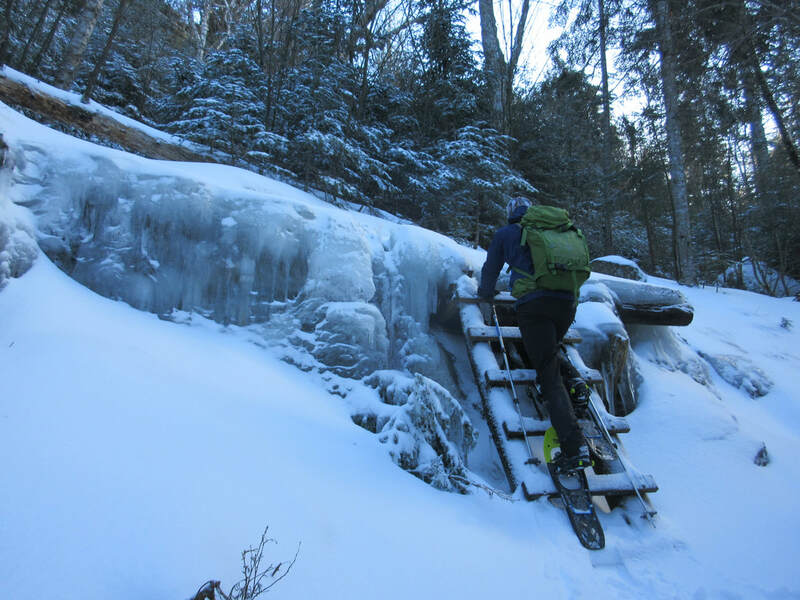 After months of testing one thing is for sure: these snowshoes are made for climbing. 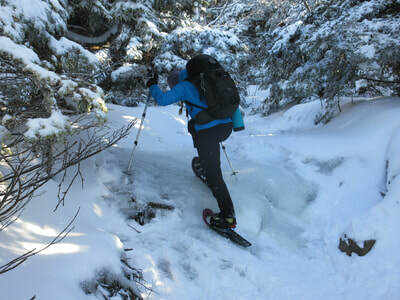 Hard pack, powder, ice- these snowshoes are amazing at ascending and descending the steepest terrain. 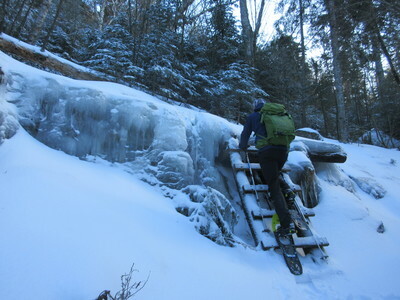 My favourite place to use them is the Adirondacks! 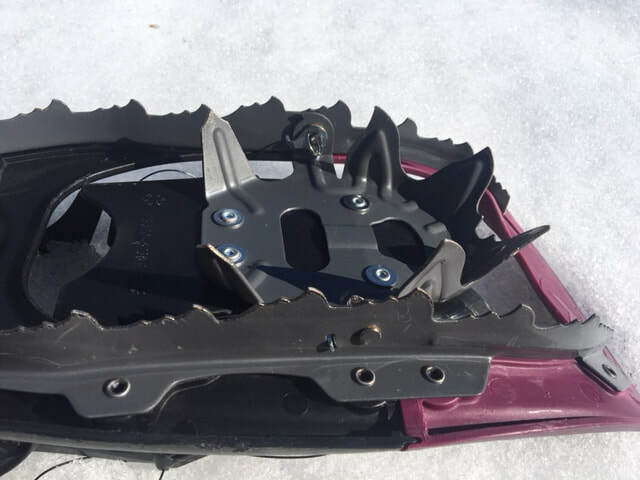 My husband bent the crampon on his MSR Lightning Ascents (they have now changed the material as this was common) but has yet to have any issues with Flex VRT carbon steel crampons.Binding system- I am in love with this simple to use binding system. The harness opens up so easily that I can step my foot in and be ready to go in no time. 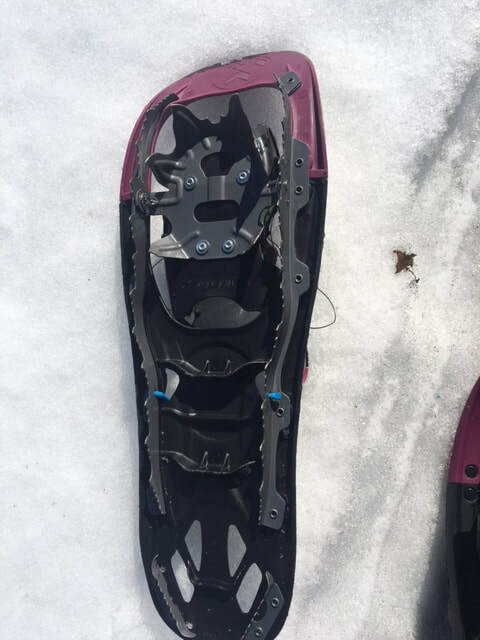 For people like me with cold hands, I don’t even have to take off my mitts to get my foot in or out of the shoe. My husband and I both appreciated not having to do up 8 individual rubber straps each time we put on and took off our snowshoes like we did with our MSRs. 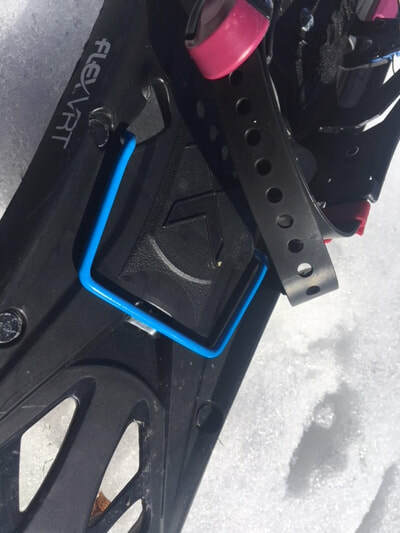 The BOA system is very easy to use but the cables are exposed and I worry about the longevity in the backcountry and worry if one broke while adventuring. You can buy replacement cables if one does break and so far I have not had any issues. The binding system is hinged, allowing for freedom of movement unlike my old Atlas Elektra snowshoes, which recoiled like a flip flop sending snow up my backside. 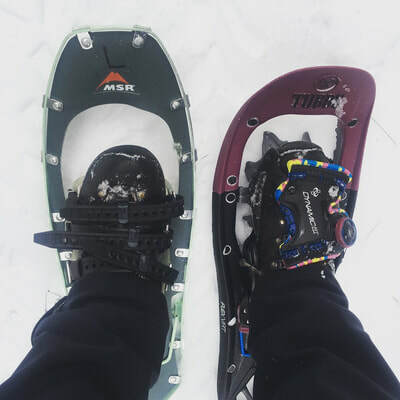 Lastly, I used the binding with mountaineering boots, hiking boots, and winter boots and the binding fit well on each type without an pressure points. Float- In deep powder I found the float sufficient for my weight. The decking was able to displace my body weight with a pack and lifting my foot wasn’t arduous. 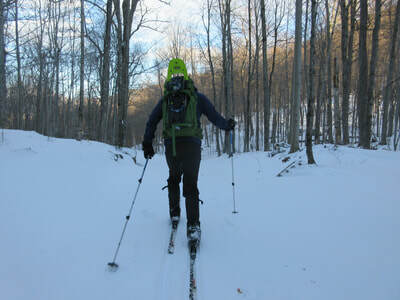 Weight- As a woman who travels in the backcountry I count every gram I carry. 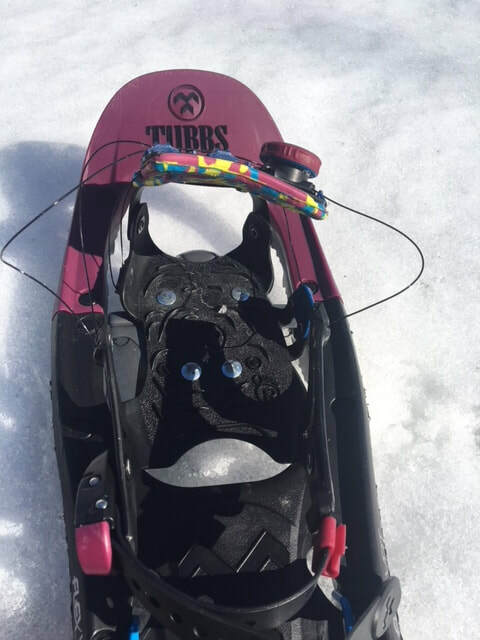 The Tubbs Flex VRT 22 inch long snowshoe pair weighs 4lbs vs the MSR Lightning Ascent 22in snowshoe weighs in at 3lbs 12oz. Believe it or not, you can really feel the extra weight- one of my test days involved wearing one of each. 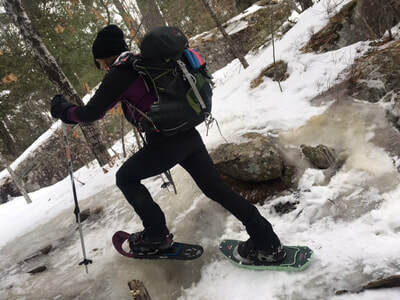 If the snowshoes could drop an ounce or two it would make a big difference on long days.Packability- I carried these snowshoes on a backpack a few times. Due to the bulky binding system, they don’t pack together as well as the MSRs but they are better than my old Atlas pair.